Thank you for reporting your concern to the City of Lee's Summit. Service request #128597 has been initiated and submitted to the Public Works Department for review. Many potholes at 3rd & Ward Rd intersection. There are several also just East of the intersection before you go under the 350 hwy bridge. These are in the Eastbound lane of 3rd st. They are in the lane divider of the Eastbound lanes. Thank you for reporting your concern to the City of Lee's Summit. Service request #128536 has been initiated and submitted to the Public Works Department for review. These potholes are in a location owned and maintained by MoDOT. We have reported this concern to them on your behalf. If you want to follow up, MoDOT can be reached at 888-Ask-MoDOT (275-6636) or https://www.modot.org/report-road-concern. This request will now be closed. Thank you for using LS Connect to report your concern. Not a storm box, but a culvert under my driveway where it meets the street. Who do I talk to to have it replaced? Thank you for reporting your concern to the City of Lee's Summit. Service request #128512 has been initiated and submitted to the Public Works Department for review. 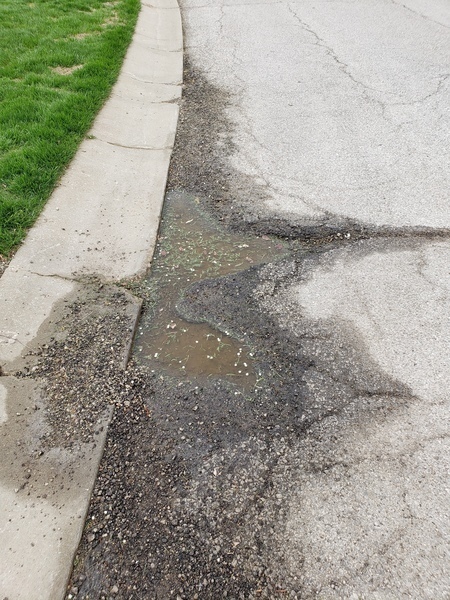 The City will install new drive tile/pipe, but it must be purchased by the resident. 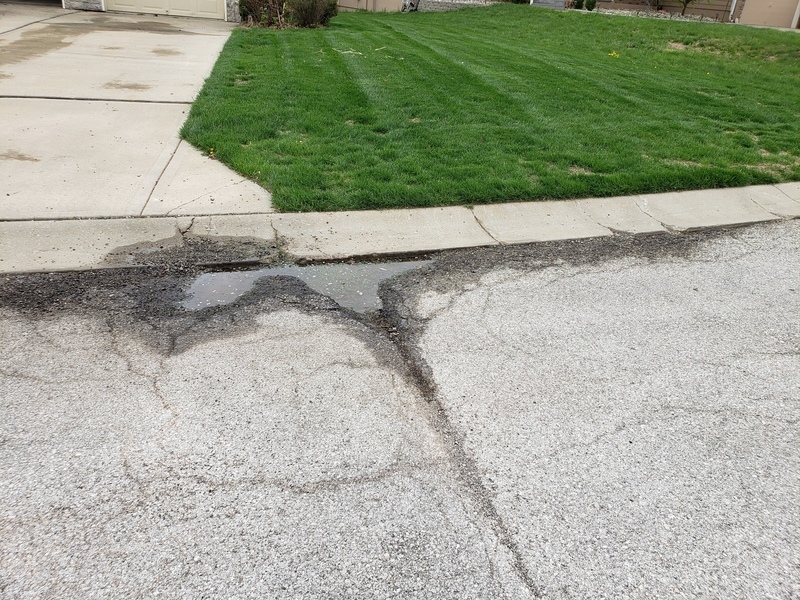 The reason for this is because the drive tile/pipe is considered a private improvement which benefits the property owner, but the City installs it to ensure proper drainage. Once purchased the repair work would be scheduled and would begin in approximately 40-50 days, weather permitting. Please let us know if you would like to proceed. Yes! I have no problem paying for the materials. I would like to proceed, but where do I purchase culvert, gravel, rock, etc, and what diameter is allowed? I can't measure mine, as both ends are crushed. Thank you! Thank you for reporting your concern to the City of Lee's Summit. Service request #128484 has been initiated and submitted to the Public Works Department for review. 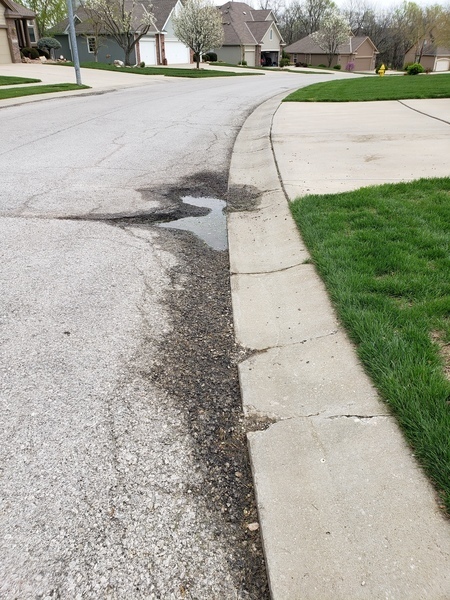 A street maintenance supervisor asked if the reporting resident is willing to have the pothole patched with asphalt, or are you requesting a concrete patch? What would be the difference in timeline for repair? Thank you for reporting your concern to the City of Lee's Summit. Service request #128568 has been initiated and submitted to the Public Works Department for review. A work order has been initiated to fill the pothole. Pot hole in Southbound ln of Ward Rd. Thank you for reporting your concern to the City of Lee's Summit. Service request #128535 has been initiated and submitted to the Public Works Department for review. The location you have reported is an area owned and maintained by the Missouri Department of Transportation. We have reported your concern to them on your behalf. If you care to follow up, MODOT can be reached at (888)275-6636 or https://www.modot.org/report-road-concern. This request will now be closed. Thank you. Thank you for reporting your concern to the City of Lee's Summit. Service request #128535 is now closed. Thank you for reporting your concern to the City of Lee's Summit. Service request #128488 has been initiated and submitted to the Public Works Department for review. A work order has been initiated to repair the pothole. The crew patched the concrete approach that is adjacent to the westbound lane of Mulberry St. Will return another day to patch the holes in the concrete approach that touches the eastbound lane of Mulberry St.
sidewalk has a big hole forming. Thank you for reporting your concern to the City of Lee's Summit. Service request #128461 has been initiated and submitted to the Public Works Department for review. Upon checking the area, a Supervisor determined this falls on private property. This matter has been transferred to the Codes Enforcement division of the Development Dept, and they have opened a case on it. For follow-up, you can reach that department at 816-969-1200. Thank you for using LS Connect to report your concern. This request will now be closed. Two within 50 feet or so in the middle of the road. Thank you for reporting your concern to the City of Lee's Summit. Service request #128513 has been initiated and submitted to the Public Works Department for review. The potholes have been filled. Thank you for reporting your concern to the City of Lee's Summit. Service request #128513 is now closed. do you need a building permit to have wood siding removed and new wood siding put on?